In the summer of 2018 ECA launched our first Webinar Series: Elders Standing for a Sustainable and Just World. Each webinar features speakers as well as real strategies that you will be able to use immediately. Below you will find YouTube links and descriptions for each webinar including a full length version and edited shorter versions. These webinars are a great opportunity for you to invite your family, friends, or neighbors to listen and reflect together on what you can do about climate change. All are invited to host a party for your neighbors or a viewing in a local community center. We will continue the webinar series in 2019. Stay tuned for more information. This webinar is focused on how we can effectively organize as elders to expand our reach, strengthen our resolve and provide a sustainable future for all children. 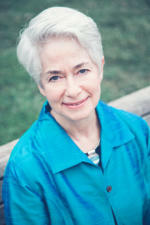 Our dynamic keynote speaker, Heather Booth, has a lifetime of experience successfully organizing citizens to bring about social change. Heather is followed by a discussion led by Elder Activists, John Sorensen and Lynne Iser, who will discuss how we elders can engage and act now to preserve the planet for future generations. Special Guest Speaker, Bob Inglis, Executive Director of RepublicEn, Former South Carolina Republican Congressman and ECA Chapter Leaders, Grady McGonagill (Massachusetts), Hazel Chandler (Arizona), and John Sorensen, Shirley McGrath, Sheila Tarbett (Northern California). Hear from this former congressman’s work to educate the country about free-enterprise solutions to climate change. Inglis believes that with a true level playing field, free enterprise can deliver the innovation to solve climate change. But America’s climate policy needs to change. Change requires that conservative leaders step-up and lead. Learn some of the best strategies for reaching across the aisle to communicate about climate change especially when addressing skeptics. The second part of this webinar is a panel discussion and presentations by elders who have stepped up and started Elders Climate Action chapters in three very different parts of the country. Hear how they inspired others to join our movement of elders acting for future generations and what initiatives these very different chapters in different parts of the country are pursuing. 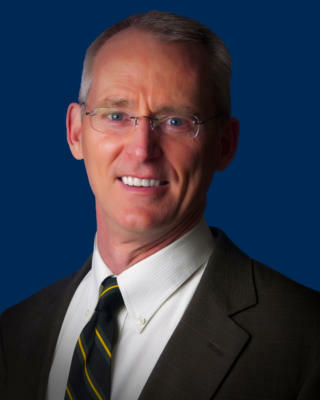 Bob Inglis launched the Energy and Enterprise Initiative (“E&EI”) at George Mason University in July 2012 and serves as executive director, where he promotes free enterprise action on climate change. For his work on climate change Inglis was given the 2015 John F. Kennedy Profile in Courage Award. He appears in the film Merchants of Doubt and in the Showtime series YEARS of Living Dangerously (episodes 3 and 4), and he spoke at TEDxJacksonville (watch). 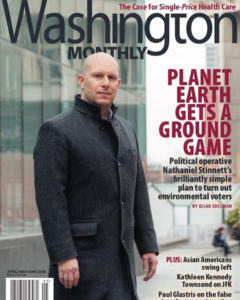 Nathaniel Stinnett is the Founder & Executive Director of the Environmental Voter Project, a non-partisan nonprofit that uses big data and behavioral science to identify non-voting environmentalists and then get them to vote. Learn the truth about who really votes in our country and why climate change and the environment have largely been ignored by our politicians. Following Nathaniel Stinnett’s discussion of the issues, Elders Climate Action will launch our Candidates Pledge Climate Action project. This is an initiative to get candidates for office at all levels of government to affirm that climate change is real and threatens our national security, the health of our people, and our economy. Each and every one of us can be part of this initiative where we live. We will walk you through our experience piloting this project and the tools we have created so that you can take action in your local area.